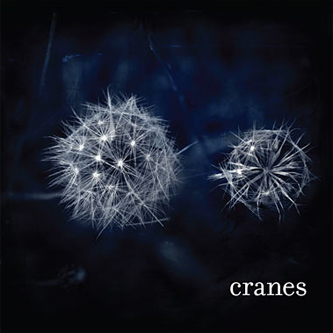 This new Cranes album has been three years in the making, following on from 2004's Particles And Waves. Recently you may have heard Alison Shaw's distinctively childlike vocal on the latest full-length from Ghostly International electronica hounds Twine, which aptly seemed to reference a very Cranes-styled approach to dream pop. The opening track here, 'Diorama', makes moves towards the world of electronic music, taking on a sliced-and-diced, granular sound as a brief introduction before moving into more conventional territory on the airy reverb of 'Worlds'. On tracks like 'Feathers' the band take this sound even further, rendering an ethereal, wraith-like sound from the most ordinary and simple of elements. It's all very convincing and accomplished, but you do find yourself wondering why the experimental electronics of that opening track haven't been put into use elsewhere on the record. Eventually, 'Sleepwalking' dishes out some very welcome shuffled up drone textures before final track 'High and Low' comes to life with warm, frothy guitars and twinkling keyed sounds - Shaw's voice mirrored by the celestial echo flecks running through the production.